When claiming a find on the Original Stash Tribute Plaque, please remember to sign the logbook located in the nearby container. There is a lock on a nearby tree - this is not part of the cache. This is where it all began. On May 3, 2000, a five-gallon bucket was placed at this very spot by Dave Ulmer. In the bucket Dave placed a Delorme Topo USA, 2 CD Roms, a cassette recorder, a "George of the Jungle" VHS tape, a Ross Perot book, four $1 bills, a slingshot handle and the now notorious, original can of beans (now the O.C.B. trackable). The coordinates were then listed on the internet and modern-day geocaching was born. The first one to find the cache was Mike Teague who took the money and left some cigarettes, a cassette tape and a pen. 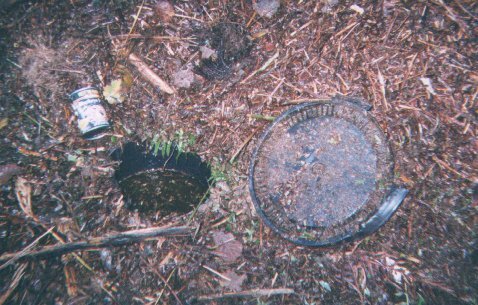 That original bucket was severely damaged by an Oregon road crew mower and no longer exists. TEAM 360 and other concerned geocachers recognized the importance of this spot and created the Original Stash Tribute Plaque, dedicated to geocachers everywhere. You can read more about the history of geocaching. We like seeing your photos. Please consider attaching some to your online log. Also, don't forget to place your GPS unit on top of the plaque for a moment or two in order to receive extended battery life and super-accurate satellite reception! Many thanks also go out to all the geocachers who made this possible: Junglehair, DapperDanMan, Moun10Bike, -=(GEO)=-, Bitbrain, Mzee & Associates, Ajetpilot, RJFerret, Team DaSH, Badmojoe, Cacheola Crew, GrizzlyJohn, Geospotter, Yumitori, Dalenis, Rothstafari, Spzzmoose, Team GPSaxophone, CacheUsOut, Scoobie10, RomadPilot, Tsegi Mike and Desert Viking, Makaio, and Crashmore. 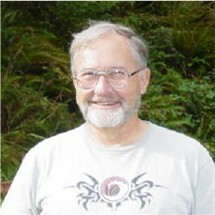 Let's not forget to send out thanks to Dave Ulmer, inventor of geocaching! Also thank you to sonorazark who lives in the area and generously maintains this cache for us. We appreciate Lance Christensen and Port Blakely Tree Farms on whose land this cache is located. We thank them for giving us their permission and continued cooperation. Please show respect for their property while visiting.